Early this month, the Senate Committee on Small Business and Entrepreneurship unanimously approved the Women’s Small Business Ownership Act of 2015, which reauthorizes the Women’s Business Center (WBC) program. Senators Maria Cantwell (D-WA), Chair David Vitter (R-LA) and Senator Jeanne Shaheen (D-NH) sponsored this landmark legislation and the bill passed on a bipartisan, unanimous vote – a rare occurrence in Congress as of late. Women entrepreneurs receive business training and counseling from more than 100 Women Business Centers (WBCs) throughout the country. Because of this bill, the WBC program will now be authorized $21.75M through FY2020, adding more Centers and providing additional support to existing Centers. WBCs can now receive grants up to $250,000, nearly double the previous maximum of $150,000. Funds above the $250,000 level will be made available to Centers that meet goals and wish to establish new projects. These updated funding levels will encourage growth in established Centers and allow WBCs to provide additional support to women entrepreneurs. The Act also requires important updates to the Women Business Center program. 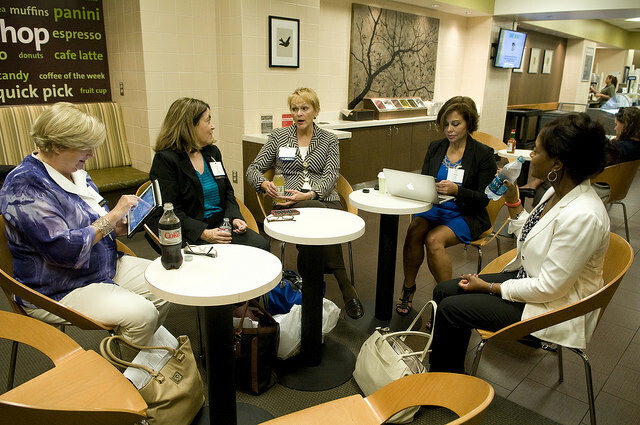 Women’s Business Centers provide an invaluable resource for women entrepreneurs. Ten million women-owned businesses contribute to the nation’s economy by generating $1.6 trillion in revenue and employing nearly 9 million Americans. WBCs are an important partner for these 10 million women-owned businesses and this legislation will enhance their capabilities and build on their successes. This entry was posted in Government Programs, Women Entrepreneurship and tagged business counseling, technical assistance, WBCs, Women Business Centers, women business owners by WIPP. Bookmark the permalink.